A tribute to the premier Arab poet of the past half-century. Sinan AntoonSinan Antoon is the author of a collection of poems, The Baghdad Blues, and a novel, I`jaam: An Iraqi Rhapsody. 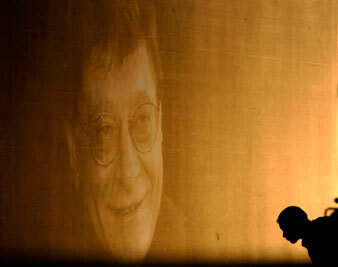 His co-translation of Unfortunately, It Was Paradise, a selection of Mahmoud Darwish's poems, was nominated for the PEN Prize for translation in 2004. He is an assistant professor at NYU's Gallatin School.